The basic idea of keyword research is that you want to find what people are searching for and write about that. I should state right up front that I will be including my affiliate link to my favorite keyword tool out there, Long Tail Pro in this post. While it is no extra cost to you, I get a little kickback (and appreciate it very much) if you use the links in this post. Keyword research is important because it can help you reach a larger audience. 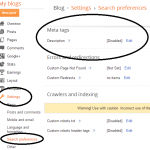 Keyword research is especially important for bloggers who do not have a huge following yet. Even without regular readers, you can still get great traffic numbers by getting found through search engines. Keyword research can help you find certain “low competition keywords” that people are using in Google searches and write your blog posts around them. So let’s say you are writing a post about an HP printer. You wouldn’t want to focus on the keyword “HP printer” because the competition is incredibly high. You’d be competing with major stores like Best Buy and would have slim chance of ranking well. Now, what if you said you had found the “best HP printer under $100” in your post? You could focus on that key phrase and probably rank a lot higher. While it is true that it does not get the same search volume that “HP printers” does, 20% of 1,000 is more than 0% of 1,000,000. 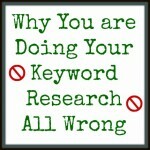 Ok, so how do you do keyword research? Well, there’s a more difficult free way and then there’s some software you can buy to make the whole process very easy. The one thing you need to remember throughout the whole process of keyword research is that you are looking for keywords that have a decent amount of monthly searches and not much competition. Since I’m in the business of efficiency and getting things one quickly, I am going to be showing you how to use a keyword tool to assist you in quickly doing keyword research. Long Tail Pro is the best keyword research tool around and one of the best investments you can make for your blog and your business. 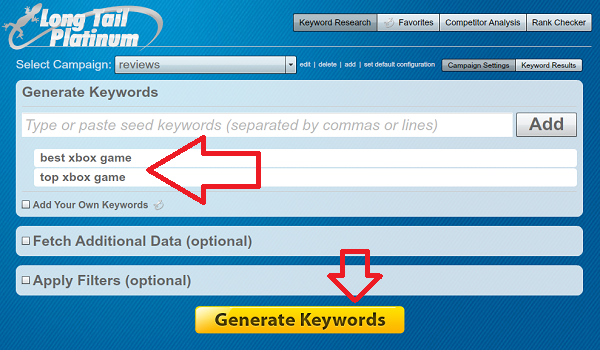 It can literally do an hour’s worth of keyword research in about 3 minutes. 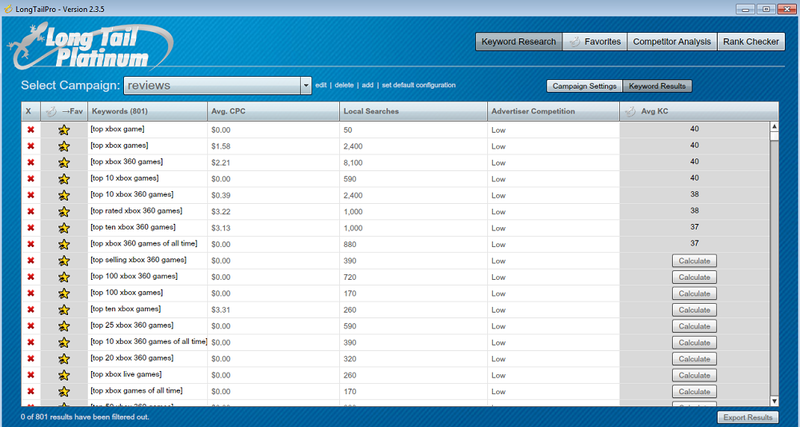 My absolute favorite part of this tool is the ability it has to accurately analyze keyword competition. This feature alone has saved me hours of research. I also like that it tells me the average AdSense CPC (Cost per click aka how much you make per click) for each keyword. If AdSense earnings are your #1 goal, this is a hugely important feature. Click the image to make it bigger and you’ll see all of the great info that this tool provides. Here’s another cool feature. Click on any of the results and you’ll be brought to a page with the top 10 results for that keyword and crucial information for each one. Some of the info on the page includes MOZ rank (site’s rank according to Moz.com, which takes into account page authority, domain age, domain authority and many other factors), domain authority and site age. A quick look at this page and you’ll get the same information that would probably take 60-90 minutes to compile using the method described above. Long Tail Pro can make your keyword research a LOT easier and I encourage you to at least try it out and see if you like it. Get a 10 day free trial here. 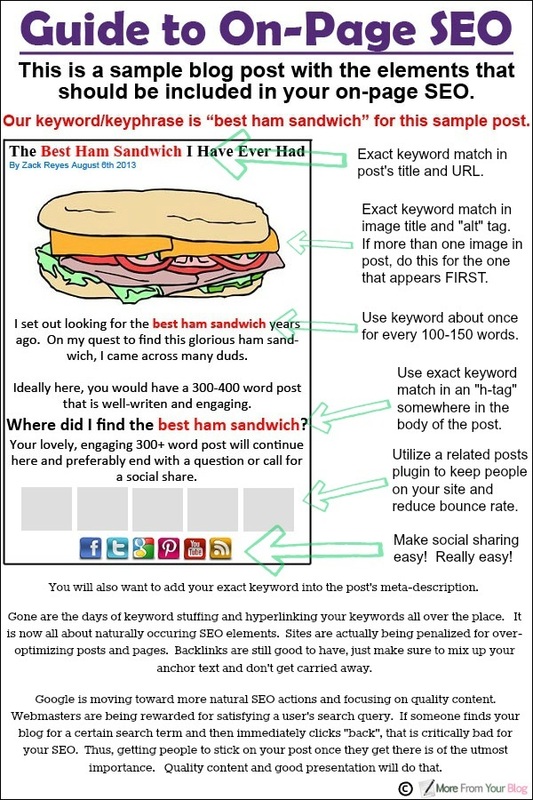 It can basically turn 3-4 hours of keyword research into a 10 minute task. I got this tool with the idea of trying to help me rank my sites as a whole, but I now use it before I publish almost every blog post! Having my posts be seen in a Google search is so great! We now have people finding posts that are months, even years old in Google. 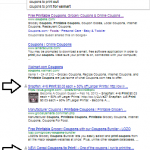 The affiliate links in those posts generate a nice amount of passive income and new site traffic. One note: keyword research should not change a ton about what you write. It’s just about choosing the write wording to use in your posts, titles and meta data. Just a simple change like using “what I think is the best hairspray” instead of “my favorite hairspray” can mean the difference between a ton of pageviews and not much. You won’t know which keywords and phrases are the best to go after unless you do a little research though. Your keyword research is done, so now what? I have written on this blog about proper SEO techniques in the past, so feel free to browse the SEO section for more info. I pulled this guide to on-page SEO (which means SEO that you should use in every blog post) from my course, which you can find here. You don’t have to follow everything on the above image exactly, but I recommend you get as close as you can with still sounding natural in your post. Whatever method of keyword research you do, just make sure you are being thorough and accurate. The last thing you want to do is try and try to rank for a keyword that is dominated by companies with million dollar SEO budgets. You’ll never get closer than page 3 for some keywords, and it’s best to know what those are before starting a blog post. Keyword research can help you get your blog out there to more searchers and is an excellent way to build traffic to your blog. No matter how you choose to do keyword research, the important thing is that you do it. If you’re writing evergreen content (content that is timeless) and not doing keyword research, you are missing an opportunity for traffic and possibly even passive income! It is $97 at the beginning and then like $19 per month. Unfortunately, it’s not cheap. You can do similar things for free, but it’s not as easy. Here’s an excerpt from my course, which shows a way to do it for free. It’s slightly technical and time consuming, but if cost is an issue, it does the trick. First up, I’ll talk about the free way. Well, actually first, here’s a simple spreadsheet to keep track of your keyword research. Follow this tutorial to learn how to use the Keyword Planner tool. • Eliminate any that sound strange, or that you don’t think you could wrap an article/post around. 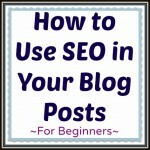 • Then, you’re going to want to take each keyword and plug it into Google as though you were searching for it. • You’ll see the top 10 results, which should give you a good idea of whether or not you have a chance of ranking easily. If you see the keyword in the post/page title, url and meta description, chances are the webmaster knows what they are doing and ranking might not be incredibly easy. If you don’t see that stuff in the top results, your chances might be easier. • Next, take the URL of ranking sites and plug them in over at MajesticSEO.com to get some key data about the site. You’ll be shown how many backlinks they have and how many different domains are linking them in addition to other key info. 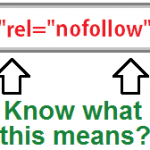 If there are minimal backlinks and the site is already missing the keyword in the title or url, your chances of ranking are better. You can also plug the site into the Open Site Explorer (from MOZ) to see a more detailed link profile as well as the domain authority. You’re looking for a domain authority of less than 50. Anything higher than that will be tougher to beat. Now, this is quite a process for each and every keyword that you want to research, which brings me to the next section of today’s post. • Once you’ve done that and narrowed your list down even more, it’s time to choose your keyword. 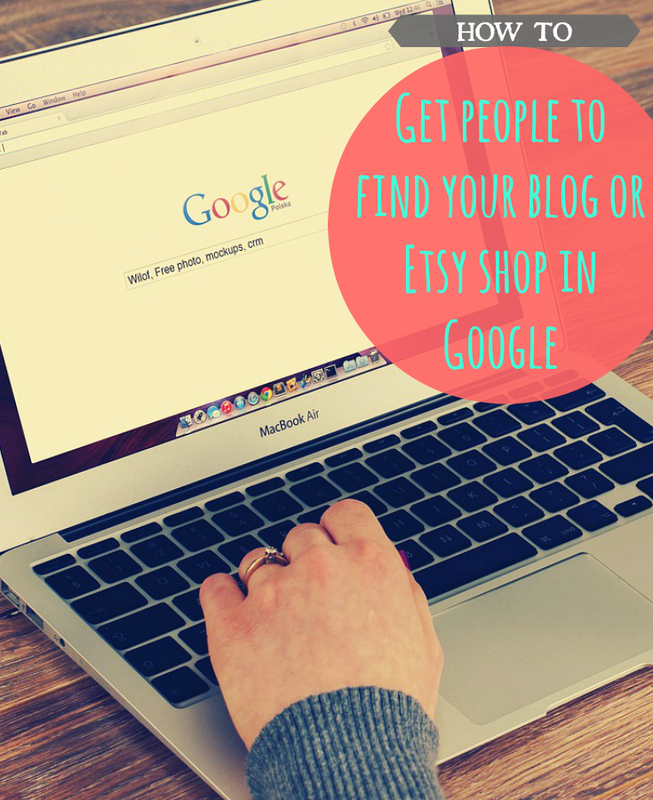 If you’re between a couple of good ones, simply choose the one that gets more monthly searches. If you’ve done all of the above things, that should be your deciding factor.